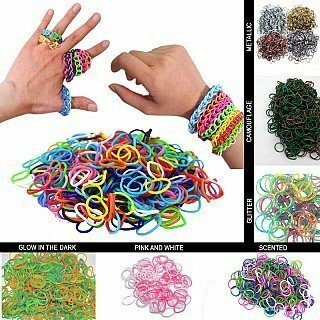 3000 Piece Loom Band Set Only $5.99 Shipped! You are here: Home / Great Deals / 3000 Piece Loom Band Set Only $5.99 Shipped! Here is a perfect deal to grab to have on hand for long summer days when the kids need something to do with their time! 3000 Piece Loom Band Set Only $5.99 Shipped! You can’t go wrong with these fun, flexible and easy little colorful bands to make bracelets, rings and necklaces with! Grab this and other fun deals on 13 Deals every day!